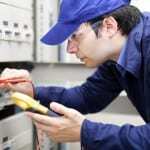 Our reliable electricians always provide quality work. When people look for an electrician, they search for someone who is trained, reliable, and does quality work. Working with electrical systems can be tricky, and the safety of your home, business, or family can be put at risk when you try to take care of electrical problems yourself. Our team at Lamm Electric has been providing quality electrical services to our customers in the Mt. Holly, North Carolina area since 1993, so you can trust our team to get the job done correctly and efficiently. We know each of our customers in the Mt. Holly area is looking for a trustworthy electrician to work at their home or business. The electrician will be working on an important part of the structure, and you don’t want just anyone working in and around your property. Each of our electricians is well-trained, experienced, and reliable, and you can feel completely comfortable working with them on any electrical repair or installation. Our main focus at Lamm Electric is the satisfaction of our customers. We have worked hard to build lasting relationships with each person we work with by providing quality work and friendly, professional customer service. We want to be the team you know you can call and trust with any electrical issues, no matter what they are. When you need an electrician you can trust to do quality work, don’t hesitate to call us at Lamm Electric. 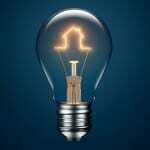 We promise to work hard to provide you with the electrical services your home or business needs. Give us a call today!